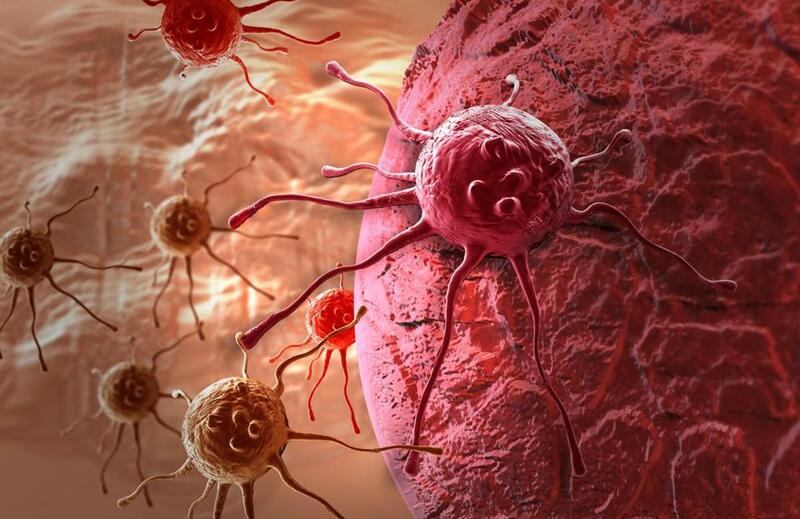 A cancer cell made with 3D software. Lynn Hlatky has spent her career as a scientist studying the development of cancer, hoping in some way to improve understanding of an insidious disease. She took a path common in her field: won funding, established a lab, assembled a team of colleagues, and got to work. But now, a decade of Hlatky’s work is suddenly gone. After a highly unusual chain of events, thousands of little glass tubes of cells and proteins, pieces of human tumor tissue, and other biological samples have been destroyed. The materials fell victim to the bankruptcy of Genesys Research Institute Inc., a nonprofit that in 2013 took control of Hlatky’s lab on the campus of St. Elizabeth’s Medical Center in Brighton. The court-appointed lawyer in charge of liquidating Genesys spent months seeking offers for the samples, including from Hlatky. But the lawyer, Harold B. Murphy, never received what he considered a “meaningful” bid, and the court authorized him to dispose of the samples. They were incinerated last month. The lab equipment was sold at auction Tuesday. “It’s heartbreaking,” said Hlatky, who spent the past two years fighting to have the materials preserved so the research could continue. Hlatky’s work has focused on the processes by which normal cells become cancer cells. Her lab successfully manipulated a set of normal cells, she said, transforming them into cancer cells. With the team’s equipment and materials now gone, the chances of the team resuming its work together are slim. The now-defunct lab, the Center of Cancer Systems Biology, has had a complicated history. Hlatky, a cancer researcher for nearly 30 years, worked at Harvard Medical School and Dana-Farber Cancer Institute before establishing the lab at St. Elizabeth’s Medical Center in 2006. (She sued Dana-Farber for firing her because of gender discrimination and won in 2011.) When Hlatky arrived at St. Elizabeth’s, the hospital was run by the Archdiocese of Boston. The hospital was later acquired by Steward Health Care System, a for-profit company, which eventually spun off the lab business to Genesys, a nonprofit. After several lab employees became concerned about alleged misappropriation of funds and other problems at Genesys, they complained to the attorney general’s office, which investigated but did not bring charges. Genesys, facing financial problems, shuttered the lab at the end of September 2014. Nine months later, it filed for Chapter 11 bankruptcy protection. Representatives for Genesys could not be reached. After the lab closed, Hlatky and a colleague, Philip Hahnfeldt, tried to reclaim the fruits of their research: the tiny vials stored in hulking cryotanks that could hold clues about how cancer develops. Hlatky insists the fight was not just about her career, but about the responsibility she felt to continue work that was funded by more than $30 million in federal grants from the National Institutes of Health, the Department of Energy, and NASA. “My focus has been completing the work that we were funded to do — saving the science, completing the science,” Hlatky said. Hlatky and Hahnfeldt filed numerous complaints, objections, and appeals in state and federal courts to try to save their research materials. They argued that the research is not the property of Genesys because the work was funded by the government. The federal government echoed that argument, noting that the Department of Energy alone supplied $6 million to Hlatky’s lab. But US Bankruptcy Judge Joan N. Feeney said the bankruptcy proceedings could continue without resolving the ownership issue. And she faulted Hlatky and the government for failing to bring the issue before the court sooner. Meanwhile, Hlatky sought to negotiate a deal that would have allowed her to obtain the biological materials and some of the equipment in the lab. Even if she could have gotten the research samples for free, she would have needed heavy-duty freezers and a space to store them. She worked with Tufts University’s Institute for Innovation, which was interested in the research, offering $35,000. “We were interested in hiring [Hlatky] because her work was groundbreaking and paradigm-shifting in the field of cancer biology. She was extremely well regarded in the field,” said Lauren Linton, who has a background in cancer research and served as deputy director of the Tufts institute. Hlatky could never reach an agreement with Murphy, the court-appointed bankruptcy trustee. Murphy declined to comment because the case is pending. But in court documents, he said he made a serious effort to try to preserve the research materials, hiring a firm to market the research and entertaining offers from anyone, including Hlatky. “Unfortunately, no third parties, none of the researchers . . . have submitted an offer [that] provides any meaningful recovery to the estate,” Murphy said at a May court hearing, according to a transcript. Feeney was sympathetic to the researchers’ pleas early in the case, but in a June ruling said Hlatky and Hahnfeldt never proposed a concrete plan for acquiring the materials they wanted — despite ample time. “The positions espoused by Hahnfeldt and Hlatky throughout this case have been all talk, but no action,” she wrote in her decision. Feeney allowed the liquidation of Genesys. The lab’s biological materials, including “human blood and tissue samples, animal materials and carcasses,” and other items, were trucked off site to be incinerated. The auction to sell furniture and lab equipment netted about $180,000. The lab is set to be vacated by Aug. 12. Hlatky was allowed into the lab last month to collect some research items. She said she took about two carloads of work, including microscope slides and other items that she could easily store at home. But she had to leave behind the samples that were at the heart of the dispute: the thousands of tubes of live cells stocked in freezers. John Quackenbush, a professor of biostatistics and computational biology at Dana-Farber, who gave a presentation at Hlatky’s lab a few years ago, said it’s unfortunate that the lab was shuttered and much of the research destroyed. Despite the destruction of the research materials and the dismantling of the lab, Hlatky is not dropping her case. She and Hahnfeldt have appealed Feeney’s decision.